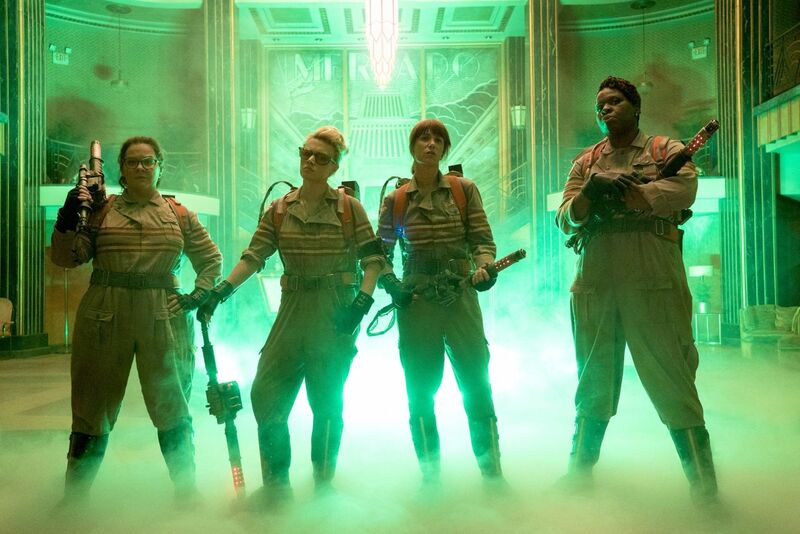 The marketing for the 2016 reboot of Ghostbusters has been absolutely awful. There was nothing in those trailers that I saw which made me want to see the film, but see the film I must, for that is my job. And you know what, the film is far better than the trailers make it out to be. In fact, in a summer filled with clunkers, Ghostbusters is a comedy oasis, which was fun to watch with a few laugh out loud moments. After months and months of pessimism about the film I’m pleased to say that I had a great time. The cast is wonderful to watch, and I don’t think Melissa McCarthy (Spy) gets enough credit as an actress. Kristen Wiig (Bridesmaids) and Leslie Jones (SNL) are fantastic, as well, but it’s Kate McKinnon (SNL) who steals every scene she’s in as a slightly insane engineer. There is one thing you need to do in order to enjoy this film, however, which is you need to be able to not compare it to the original. In no way does it even get close to the near perfection of the Ivan Reitman directed film from 1984, but I don’t think many people thought that was possible. Now’s a good time to point out the problems with the rebooted Ghostbusters, starting with the major problem: The villain isn’t all that interesting or terrifying. Ronan is at best an annoying person who was bullied his entire life, and his plan is a bit too vague. Compare him to Gozer the Gozerian, who scared a young me back in the day, and it’s no contest to which one is actually scarier. The other major issue is that despite the comedic elements of the original, most of the characters from Spangler to Venkman were portrayed as far more complex individuals than this reboot. In the new Ghostbusters, I can’t help but get the feeling that the characters are pretty two dimensional, and it was the efforts of the actors who made them far more relatable and loveable. The key to the original film was that it straddled the line between comedy and reality, where you could believe that the events truly could have happened with these four. The events were serious, while they were just the far side of being comedians to make it all plausible. That’s what made the original Ghostbusters so special: It was a comedy, but the comedy showed up out of horrific situations. 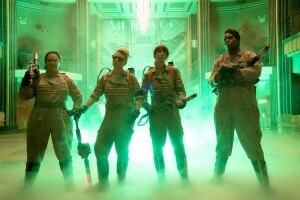 We’ll probably never get a Ghostbusters 3, which means that if I want a franchise of movies, then this is it. The movie is flawed, but the characters are fun and it makes me excited for a possible sequel with hopefully spinoffs springing from there.